Change Your Life. Ride A Bike! 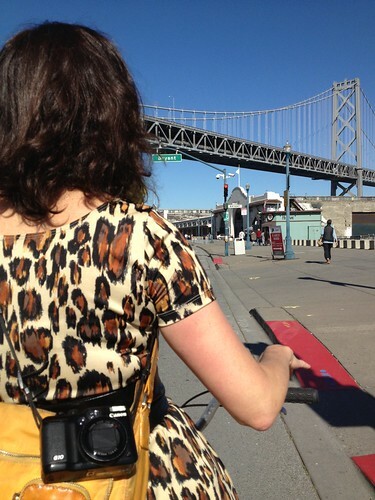 : friday fun times: we cycle SF (on a tandem)!! there's a new event in town kids. 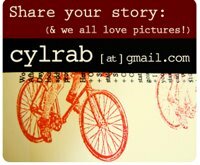 the people who put on the SF marathon are now truing their bike wheels on a new concept: Cycle SF. 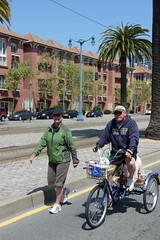 it is a nice fun ride to benefit SF parks & rec. there are options for 13 mile or 24 mile rides. both of those options might seem either super "easy" or super daunting to people, but just know this FUN ride is to benefit the parks! more bike parking! more infrastructure! more costumes! more tandems! register here, and we just may see you for the costume competition. The mission of the event is to promote cycling as part of a healthy lifestyle, and to highlight and celebrate the role of our city’s Recreation and Parks Department in providing a healthy living environment. 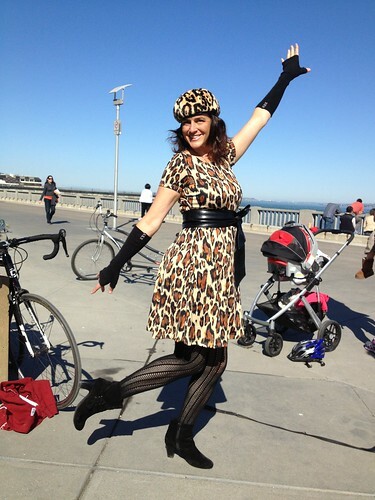 CycleSF aims to build civic unity through an event that invites bicycle riders of all levels to traverse our city together, and communally experience San Francisco’s diverse neighborhoods from the seat of a bike. Thousands of bicycle riders will raise funds to support the programs and infrastructure of the San Francisco Recreation and Parks Department. We are proud to have San Francisco join other cities around the nation and the globe that also host city-wide, community supported cycling events. as KT mentioned over on velo vogue, last friday we went to the photo shoot. if all goes well, we just might be up on a muni bus. or a bus stop. or the website. who knows. isn't it though? haha :) love you KT! They told me to ham it up... so I followed orders! hehe, but this was all you my dear. and for ME? i'm blushing. Seems like a great city for the bicycle. I have already registered. I will ride my folding bike to promote cycling and folders.